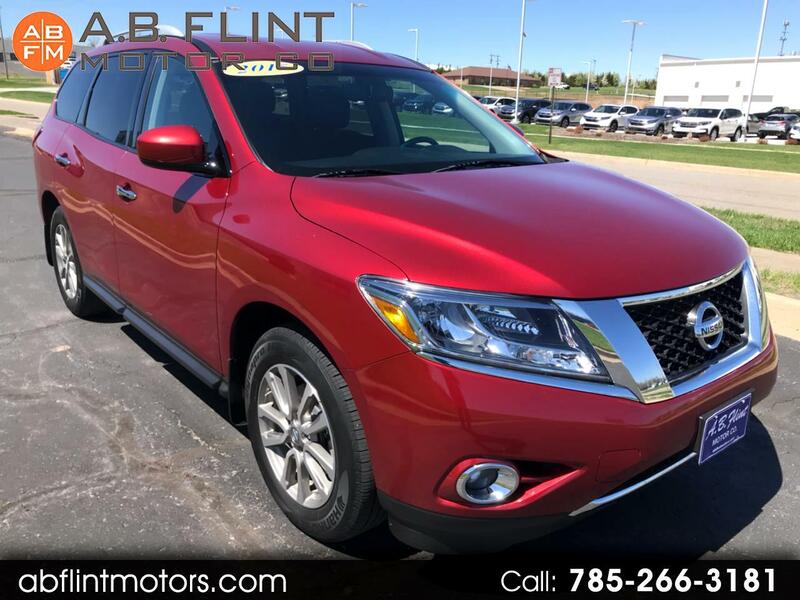 Used 2015 Nissan Pathfinder SV 4WD for Sale in kansas city mo 64119 A B Flint Motor Co.
2015 Nissan Pathfinder SV 4x4 with 56,000 miles. As far as condition, this Pathfinder is almost brand new. Both inside and out looks fabulous, you won't be disappointed when you see and drive it. Drives down the road just like a new one! Got questions???? Visit our website www.abflintmotors.com for more information and photos on this or any of our other vehicles or call us today for a test drive at 785-266-3181. Message: Thought you might be interested in this 2015 Nissan Pathfinder. A B Flint Motor Co.